Studying HNC in Coaching and Development in Sport at City of Glasgow and Working in Events customer service at part time. Laura Kenny is inspires me because when she was 18, she win seven world cup and european titles at junior and elite levels at cycling track. As she grew up with cycling track from age of 18 and never stop giving up of achieving gold medal and became one the most popular athletes. The best thing about growing up in Scotland was sports including in Olympic such as European Championship, Glasgow Commonwealth Game and World cup because we can get tickets and going to watch the activity with your favourite athletes and support your own country. As you may get photography with your favourite athlete that inspires you. Dealing with loss, because death is difficult to process at any age but older generation seem to mange it better. When we are young, it is easy feel invincible so when we suddenly lose someone we care about it it can be devastating. Seniors have likely dealt with many losses over the years. This makes them more equipped to recover and move forward from these tragedies. When young people spent time with their elders they connect and learn to cope with hard things. Whether it is death or disappointment, senior have a stronger ability to accept life is challenge in strider. That acceptance is a valuable skill to pass along to future generations. I took part of The Rickshaw Challenge by The One Show, I was pedal the cycling with Matt Baker at 470 miles within 8 days from Jedburgh to London and raised 3.1 millions pound for Children In Need charity and i was selected to be in Deaflympic at Turkey, Samsun from Great Britain Woman Deaf Football team. 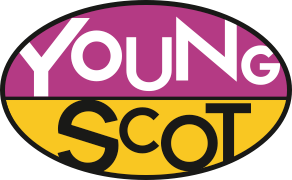 I am currently part of The Young People Panel Sport with Sport Scotland from this year to 2020 and hopefully to make some new different national plan in Scotland from Sport. It’s a good thing that we don’t know everything that is going happen to us. If i had known all the pains ad heartaches i would encounter in life, even amidst the joys and victories, it would surely have ben too much to bear. If Olivia’s story has inspired you, why not share it on social media using the hashtag #MyStory365 or visit the ‘Get Involved’ section to share your own story!